Most recognize that MarineMax Grand Lake differs from most dealerships for a variety of reasons, including their terminology, number of premium boat brands represented, (15) and the fact they own multiple dealerships; to be specific, they have fifty-four dealerships spread over seventeen states. They are a team that was formed out of necessity and innovative thinking and like most teams they reflect the attitude and philosophies of their coach. William H. McGill, Jr. is a highly recognizable and award winning boating industry leader with over 40 years of experience. His vision for MarineMax led him to spearhead a roll up of six private dealerships and take the company public in June 1998 through an IPO. Within a few years, the company’s annual revenue grew from $291 million in 1998, to a peak of $1.23 billion in 2006 and 2007. 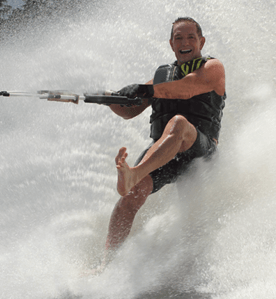 As a lifelong water skier and boater, his passion for the industry and dedication to helping customers enjoy the boating lifestyle, has grown the company to 54 locations in 17 states and representing over 15 premium brands. Additionally, MarineMax Vacations was formed and is a charter operation in the British Virgin Islands, with its own brand of catamarans, known as Aquila. MarineMax today, through mergers and acquisitions, is a combination of 29 private companies operating as one. Desiring to become a business owner and further his passion for boating and water skiing, Bill assumed ownership in 1973 of a 12-year-old boat dealership in Sarasota, Florida called Gulfwind Marine and opened a retail operation in St Pete Beach, Florida. He opened a Clearwater, Florida location in 1974 and eventually grew the dealerships to cover the West Coast of Florida. Bill was the principal owner of Gulfwind Marine until the company’s formation. Since January 1998, Bill has served as Chief Executive Officer of MarineMax and as the Chairman of the Board and as a director of the company since March 1998. He served as the President of the company from January 1988 until September 2000, and re-assumed the position July 2002. As might be expected, his time away from work with family and friends involves boating, competitive water skiing, snow skiing, and running in marathons. Bill holds licenses and certifications as an instrument rated twin-engine pilot, Ham Radio operator, and is a certified SCUBA diver. And as the photo indicates he is barefoot skiing after all these years. Though MarineMax Grand Lake is mostly recognized as the Sea Ray and Crest Pontoon dealership locally, due to their corporate tentacles they are an innovative force in all areas boating. Most recently they have introduced something called MarineMax Vacations, described as Exceptional Yacht Charters. The backbone of the offering is similar to a timeshare concept in real estate, but is custom designed for boaters. The program is designed for MarineMax clients in the Midwest and offers various packages and destinations for a get-a-way in the colder months of the year. There are charters, ownership plans and destinations which include the BVI, Europe and more. For more information, visit their web site at www.marinemaxvacations.com. 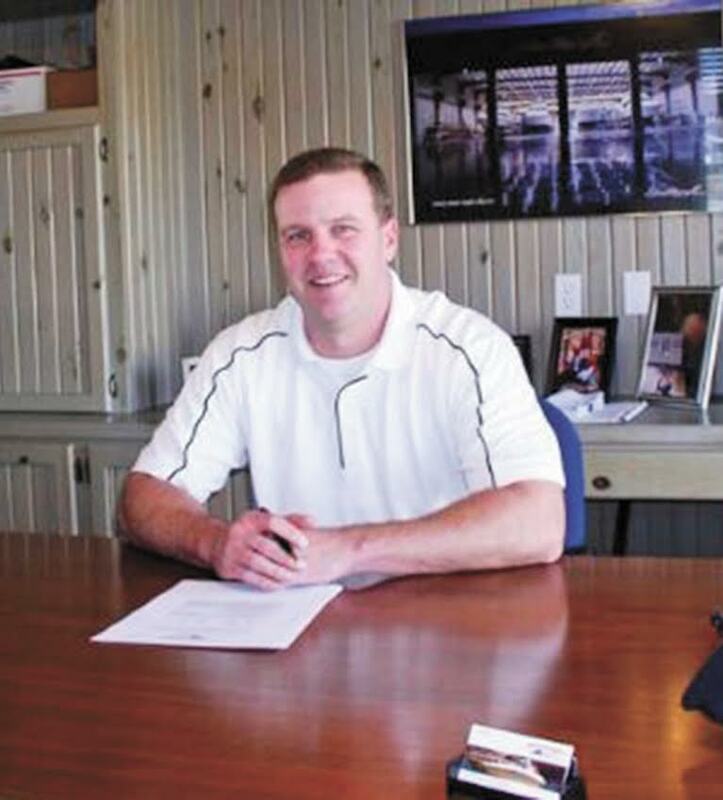 Although a national company in scope the Grand Lake dealership has a local flavor with Chris Byrd at the helm. Byrd, along with several other local students, were recruited by Fred Holmes to work summers at Marine Land, known today as Arrowhead South. Their job duties included pumping gas, detailing boats and anything else one of marina’s slip customers might want. That part-time gig started a 27 year and counting career in the marine industry. To say he worked his way up in the business would be absolutely accurate. According to Byrd, the defining moment of his career probably occurred in 1998 when Pete and Jim Howser approached him with an offer to join Harbors View Marina and the Sea Ray dealership on Grand Lake. While a majority of Byrd’s career was in the sales and marketing side of the Sea Ray brand, he spread his wings in 2007 when he was appointed store manager for the MarineMax operation on Grand Lake. There was some on-the-job training involved, but his new job included budget, business planning and a host other responsibilities that come with directing a business operation. MarineMax Grand Lake; doing business with a nationally recognized company with new innovations being introduced annually with a local flavor. MarineMax Grand Lake is located at Harbor’s View Marina on Duck Creek. You will find them HERE on the web where you can learn all about the local inventory and how MarineMax can help you with your Grand Lake boating lifestyle. Article written by Rusty Fleming and shared with permission.